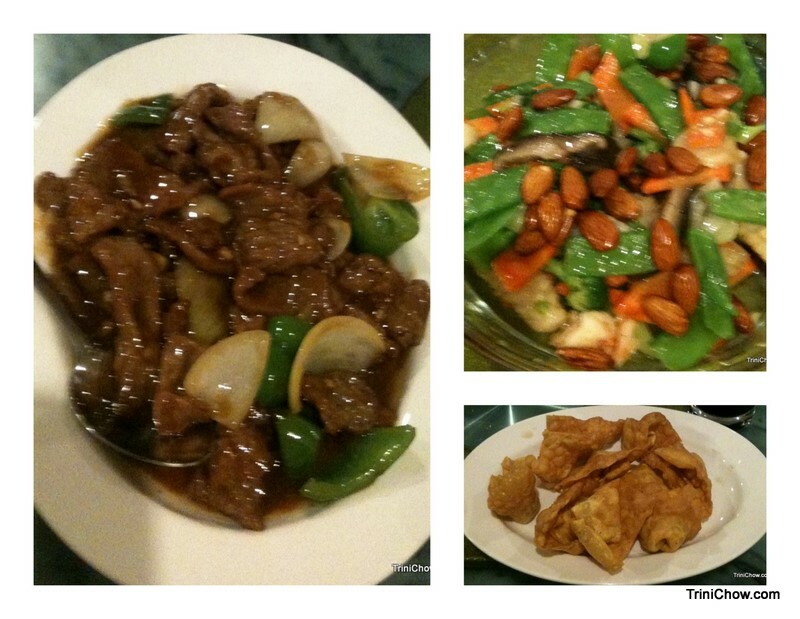 STIR FRY KING and its tasty Chinese food are a welcome addition to Woodbrook’s dining scene. The restaurant offers an extensive menu of soups including Shrimp Dumpling Soup and Vegetable Tofu Soup; appetizers like Ginger Squid & Sea Scallops, Golden Fried Ribs and Vegetable Spring Rolls. Nearly 40 entrees also are available featuring poultry, pork, beef, goat, seafood, vegetables, rice, and noodles. You can enjoy traditional Kung Po Chicken or Fried Local Chicken; pork dishes like the Peking Pork Chop, Cantonese Ginger Pork or Char Sui Pork; and beef favourites like Snow Peas Beef or Mongolian Beef. Seafood entrees include a Sea Food Hot Pot and Shrimp w/Black Bean Sauce. Stir Fry King also offers options for vegetarian with dishes like Spicy Tofu House, Sauteed Chinese Vegetables and Vegetable Fried Rice. Update – TriniChow visited in November 2011 and although we were underwhelmed by the restaurant’s decor, the food and friendly service made up for it. Our favourite dish was the Stir Fry King House Special, meat/seafood stir fried with vegetables and almond, which delivered several layers of texture – crunchy nuts, crispy vegetables and tender meat in a flavourful sauce. Good to Know – Appetizers and soups range from $30 to $150, while entrees are $50 to $240 (VAT inclusive); Owners report that no MSG is used in the food; Karaoke room; Open on Sundays; Late night hours. Oh….thanks so much for the review!!!! You’re welcome. We really liked the food at Stir Fry King.